I first encountered Periannan Senapathy on the sci.bio.evolution newsgroup. He was promoting the idea that the various animal phyla arose independantly rather than from descent from a common ancestor. Here's one of his early postings on sci.bio.evolution from Feb. 13, 1995"
As a molecular biologist and genome researcher, I have enjoyed following the many ongoing debates in this and other forums over evolution theory -- both as a whole, and various aspects thereof. My own work in genome mechanics and genetic molecular structures has yielded much evidence pertaining to these debates, and over the years I have published several of my findings in PNAS, J Molec Biol, J Biol Chem, Nucleic Acids Research, Science and other journals. Until recently I have published these findings separately, although clearly they are all related. Now, however, I am publishing a single unified theory that incorporates all of these pieces -- and an enormous body of other evidence as well. This new unified theory proposes a radically alternative explanation for the origin and diversity of life on Earth, asserting that most of Earth's organisms must have originated independently in one primordial pond, and that the natural-selection mechanism described by evolution theories could have produced only minor variations among essentially similar species. These conclusions surely will provoke a lively debate in the scientific community, but a fair reading of the theory will show that it easily explains all of the available evidence -- molecular, biochemical, organismal and fossil -- and notably accommodates all of the contra-evolution evidence that has dogged evolutionists since Darwin. 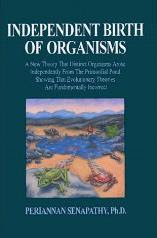 His ideas were eventually published in 1994 in a book with the following provocative title: "Independent Birth of Organisms. A New Theory that Distinct Organisms Arose Independently from the Primordial Pond, Showing that Evolutionary Theories are Fundamentally Incorrect." 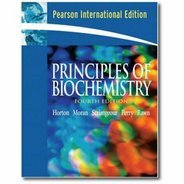 The book was published by "Genome Publications." Periannan Senapathy owns a company called "Genome International Corporation" which funds his work. The PLoS paper, for example, is funded by "Genome International Corporation" and the disclaimer reads, in part, "This project is purely an academic project, fulfilling the academic interest of the corresponding author, who owns the company." I don't know if the book is self-published. The research article in PLoS ONE is .. It address an old problem about the origin of introns. The consensus among scientists these days is that introns arose late and they are derived from insertions of self-splicing RNA's into coding regions. These were subsequently copied into DNA and integrated into the genome. The similarity between Group II introns and spliceosomal introns lends strong support to this model. The fact that bacteria have very few introns is consistent with the idea that introns arose late in evolution. As is the fact that introns positions are not highly conserved, as one might expect if they arose early. The Senapathy paper tries to make the case that introns are primitive and the human genome, with lots of introns, is more primitive than bacterial genomes, which have lost their introns. Speaking of losing, this issue was resolved over ten years ago when the last holdouts for "introns early" conceded defeat. Senapathy has not come up with anything that even remotely rejuvenates that losing position. On a more troubling note, it's beginning to look as if PLoS ONE is attracting the kooks who find it easy to get their work published in that forum. It won't be long before I stop reading papers, and abstracts, from PLoS ONE. I don't know about that intron topic, but I agree that , given the review system of PLoS ONE (e.g, the possibility of showing the work to just one reviewer) some bad stuff will slip through. However, I am not so sure that the "conventional" reviewing system is a much better sieve. I have seen truly terrible papers published in Nature, Science and PNAS. Also, completely unremarkable papers are published in those journals on the basis of political connections. Sicentists are familiar with these realities. The difference however is that in those journals, you cannot leave online comments on how bad their bad papers are. This is a plus for PLoS journals, and I did just so with their nasty "Palau man" paper. I left my comments. If Larry has objections, he truly should write them down at the bottom of the paper, where everyone can see them. I would, for sure. Traditional "high and mighty" journass are much, much more likely to reject good stuff that truly deserved widespread attention. So, that's another plus for PLoS ONE. Finally, open access and good visibility makes publication in PLoS ONE a good alternative for those who are not making highly technical research worth millions or that do not have the necessary political connections to publish in Science, Nature, and of course, PNAS. As a paleobiologist I know I cannot afford not to read PLoS ONE; hot stuff is turning up there (see the papers of Sereno on nigersaurus and the new theropod with air-sac cavities). As an evo-devo guy I can also say that sme hot stuff has been published there by truly notable researchers. I myself have an article in PLoS ON and I can assure you that these collegues made me feel quite in "good company" to get my stuff published there. Larry's idea of never reading PLoS ONE is about as silly as deciding to eat up anything that's served up on Science or Nature (well, Larry probably does). Ultimately, you have to use your own judgement. If you just think in terms of "source", it simply reflects the fact that you have little or no judgement. It's funny that you mention this because a bunch of my colleagues and I have been having trouble some articles published in PLoS One. A recent paper I read had such poor English that I couldn't understand the Materials and Methods. Another good thing is that the reviewers can leave their comments on the paper, for instance, if it was published despite their negative review. It just means one has to be more cautious about PLoS ONE papers. Genome International Corporation doesn't have anything to do with genomes, surprisingly. Keep in mind also that it takes some time for the scientific community to catch up and warm up to new hypotheses-focuses that can initially be considered "offbeat"
Larry, is your only problem with this paper the senior author, or do you have some issues about the actual content of the paper that you might care to share with us? "This study thus shows the possibility that the genome of the very first living cell may have prebiotically originated from complex split-genes occurring in primordial random genetic sequences—explaining why the LUCA must have been a eukaryote with a complex genome." Thanks for the post. I concur and recommend you post something at PLoS ONE AND rate the paper (sad to see you didnt). You could save some less involved individual from using this paper as a source. As the Managing Editor of PLoS ONE we always encourage anyone who has any kind of issue (provided it conforms to our guidelines - http://www.plosone.org/static/commentGuidelines.action) with a paper to post those comments directly onto the paper as a Comments, Notes, Corrections, or Ratings. In this way, the author is able to respond and meaningful debate may result; a permanent record of the issue and the debate remains on the paper; and future readers will be able to find this information without having to do a Google search for comments made elsewhere on the internet. As has been noted in this thread this is considerably more transparent and forward thinking than the vast majority of other journals. I encourage you to comment directly on this paper. I will be happy to comment, when you allow anonymous comments, so that I do not need to fear retribution. This is exactly the same level of anonymity I require when I review articles for all other peer-reviewed journals. However, bad papers (be them in science, nature or PLoS) are recognizable even when they are not within your own field. For instance, I am no paleoanthropologist, but I could tell "palau man" was a bad paper just because the authors preferred blatantly unparsimonious explanations to draw inferences about flores man. So why fear retribution to comment on those bad articles? Those authors that are not in your field are unlikely to review your papers or projects; plus, even in your own field, if you have suspicions, you can normally exclude potential reviewers and suggest good ones. Larry, an old, tenured guy, has no excuse whatsoever for chickening out from commenting. This is a perfect example of why that process doesn't work. I've just spent four hours going over the paper and checking the references. It would take me another four hours to write up a serious critique of what's wrong with the paper. Almost anyone who reads the paper will see exactly what's wrong. Most of it is completely irrelevant to the issue they are addressing. The rest is just special pleading to justify why their prediction doesn't match the evidence. They are left with the bizarre claim that mammalian genomes have to represent the primitive, ancestral genome because that's the only conclusion that conforms to their hypothesis. "This finding is preliminary and cannot exclude the possibility of false-positive due to small sample size (144 subjects) and multiple statistical testing." My first reaction when I first came across Senapathy's idea is that perhaps Darwin was a prisoner of his days, as we all are in some ways. By this I mean that Darwin was surrounded by the idea of a single Diety or God. This is why he focused on evolution from a singe entity. If Senapathy is not a creationist, as is said by some of his critics, then why a single primordial pond why not several? I am not an evolutionary biologist and therefore am not qualified to argue the case with 'facts'. Although this comment appears to be against Senapathy's ides but all I can say is that it is that of an evolutionay skeptic. I have supported Darwinian and neo-Darwinian views until I came across Senapathy's ideas. I am saying that we must not be prisoners of the current paradigm of a single God. I would be interested in other views. To change a paradigm requires strong and convincing ideas,which I am not sure Senapathy has yet produced. The story is that the Origin of Species sold out rapidly and went into severalprintings despite its very revolutionary findings. Another problem with the ideas of Natural Selection is the echoes of eugenics within it and which had the support of luminaries such as Fisher, Churchill among others.